A secret language written in the ancient book of Everes foretold a human boy with great powers would come to Fairyland. Come along as Elijah the bear tells the story of Ernie and the Fairy Princess Daisy’s fight to stop the evil Queen Natalie from destroying the Socourt Kingdom. An adventure for all ages. 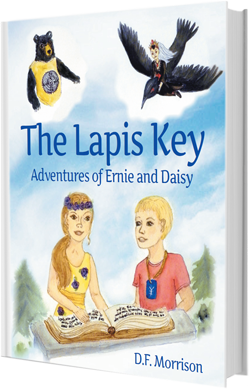 This wonderfully illustrated story of Ernie and Daisy will keep the reader entertained for many an evening as they wind their way through this fantastic literary experience. Full color book with over 90 pages and 64 illustrations.